Leaders of six Coral Triangle countries promised to take action to safeguard the world’s richest marine resource and some 100 million people depending on it. Manado, Indonesia – Leaders of six Coral Triangle countries promised to take action to safeguard the world’s richest marine resource and some 100 million people depending on it. 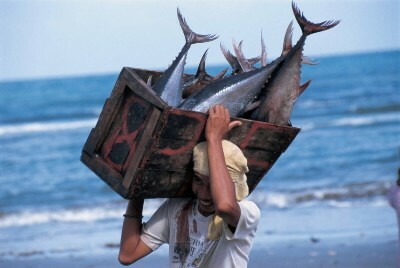 The announcement followed a recent WWF report which found that without action on climate change, coral reefs will disappear from the Coral Triangle by the end of the century, the ability of the region’s coastal environments to feed people will decline by 80 per cent, and the livelihoods of around 120 million people will have been lost or severely impacted. 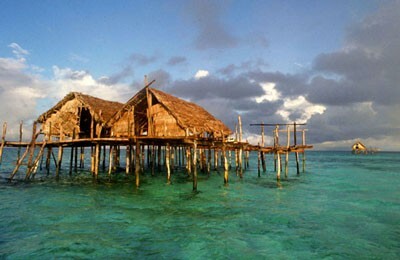 In a joint declaration, the Presidents and Prime Ministers of Indonesia, Malaysia, Papua New Guinea, the Philippines, Solomon Islands, and Timor Leste formally adopted one of the most comprehensive and specific plans for ocean conservation. The declaration is an important signal for other leaders ahead of the Climate Conference in Copenhagen in December this year, when world leaders will gather to agree on a treaty to replace the Kyoto Protocol. “WWF urges world leaders meeting in Copenhagen to support Coral Triangle countries in their efforts to protect their most vulnerable communities from the impacts of climate change and the loss of food and livelihoods”, said WWF Director General James Leape. “Reaching a strong agreement on greenhouse gas reductions is critical as is robust support for regional adaptation. The transformational CTI Plan of Action provides a framework for engaging the private sector in adaptation through public private partnership", Mr. Leape added. 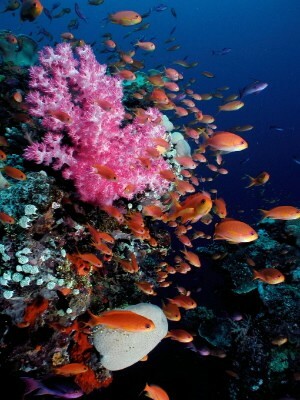 Covering only 2% of the world’s ocean, the Coral Triangle contains 76% of all known coral species. 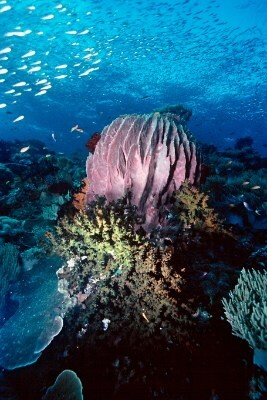 It is also brimming with an extraordinary variety of fish due to this high coral diversity. 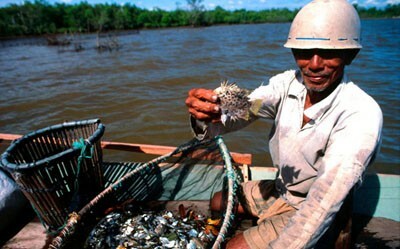 Over 120 million people directly depend on the bounty of these seas for their food and income. The value of fisheries, tourism and shoreline protection from coral reefs, mangroves and associated habitats is estimated at US$2.3 billion annually. This area also supports the largest tuna fisheries in the world, which generate billions of dollars in global income every year. Healthy reef systems help buffer coastal communities from severe storms and tsunamis. In the declaration, all six leaders also recognized the urgency of a strong climate change focus to this important Initiative. The 10-year Regional CTI Plan of Action sets time-bound steps to address growing threats to the region’s coral reefs, fisheries, mangroves, threatened species and other marine and coastal living resources. It also recognizes the urgent need to address the poverty afflicting the people of the Coral Triangle countries, in particular the coastal communities, and to meet relevant internationally agreed development goals, including the achievement of the Millennium Development Goals. Protection of reefs and mangroves in the Coral Triangle will be vital to help people adapt to increasing storm severity, an effect of climate change. These precious marine resources are threatened by overfishing, illegal fishing, unsustainable coastal development, pollution and climate change. All these threats are leading to depleted fish stocks, large-scale loss of mangroves and degradation of coral reef systems. “In 30 years of conservation work, I have never seen anything like this; six leaders signing a commitment to protect their marine resources for the well-being of their citizens and future generations,” Conservation International’s Chairman and CEO, Peter Seligmann said. The Coral Triangle - Why is it important?